Scottish actress Amy Lennox has a CV that would be the envy of most. 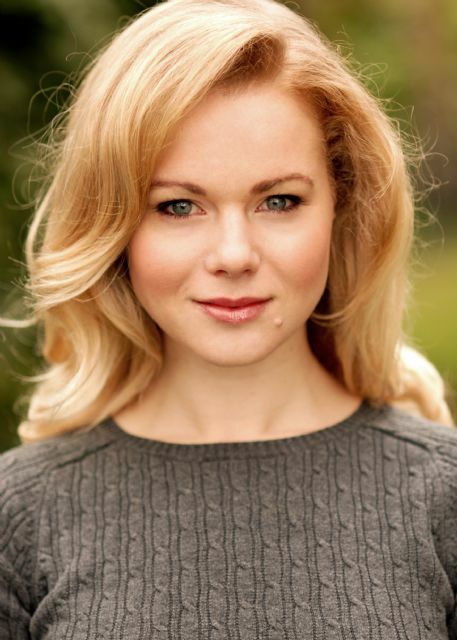 On graduating from Guildford School of Acting Conservatoire In 2007, Amy auditioned in front of Andrew Lloyd Webber to win the role of Liesl in The Sound of Music, making her West End debut alongside Connie Fisher. She then went on to appear as Margot as part of the original London Cast of Legally Blonde the Musical at the Savoy Theatre. After starring in the world premier concert of the Stiles and Drewe musical Soho Cinders, Amy recreated the character of Velcro in the full stage production of the musical at the Soho Theatre, for her role, Amy gained a Broadway World Awards nomination for Best Actress. Not confining herself to a purely musical career Amy has also starred in a new play directed by Rupert Gould Decade, written to mark the anniversary of 9/11. Amy is currently touring the UK in Dolly Parton’s new musical, 9 to 5, playing Doralee Rhodes, the role made famous by Parton herself. The production returns to Glasgow for a phenomenal third run in August. Glasgow Theatre Blog had a chance to chat to Amy before she heads back to Scotland in this knock-out show. 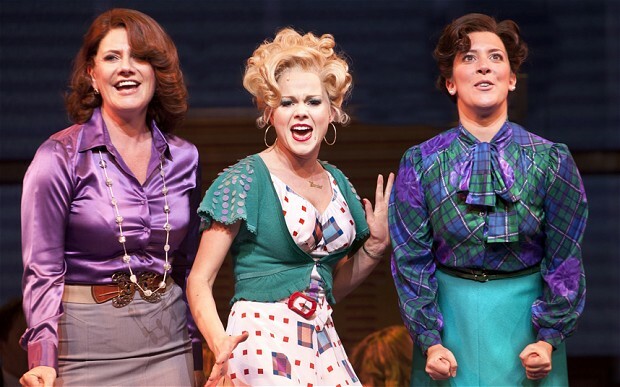 You’re currently starring as Doralee in the highly successful tour of 9 to 5 (so successful in Glasgow in fact, that it had to come back for an extra week to meet demand); is it as fun to be in as it is to watch? It will be our third time back actually! They added another very recently. I’m really excited to be returning again. Glasgow audiences are hands down the best! Yes it’s a lot of fun, myself, Natalie Casey and Jackie Clune immediately hit it off in rehearsals – it would have made the job a lot harder if we hadn’t ! We seem to share the same daft humour I think – people who have seen the show say we have great chemistry together which is so lovely to hear. When starring in eight shows a week, how do you keep your performance fresh each night? It’s tricky repeating yourself 8 times a week for a year – it certainly can play mind games with me – but it’s something I’ve come to accept with the territory. I constantly need to remind of myself to be ‘in the moment’ as cheesy as that sounds, because it’s all too easy to go into auto-pilot! You have a CV that would be the envy of most actors; what’s been your favourite role to play so far? I’m very grateful to have had a variety of different jobs ranging from musical theatre to straight plays and the odd filming. My main focus is to always keep my career varied. The last thing I would want would be to be shoehorned into one side of the business. For me the best job is usually the one I’m in – it’s wonderful at the time and then I move on to the next thing excited about something new. Your West End debut was as Liesl in Andrew Lloyd Webber’s production of The Sound of Music alongside Connie Fisher; did you feel the pressure appearing in such a highly anticipated show? Not really – that was probably the easiest job so far! 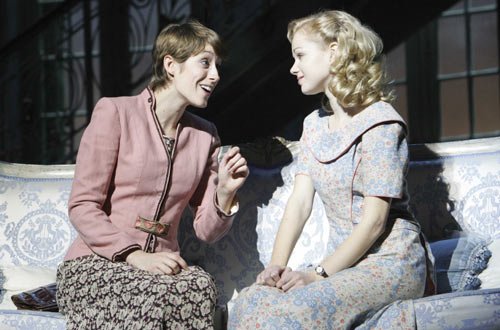 It was a gorgeous part to play but wasn’t too demanding – I loved everything about that show – and Connie was just lovely to work with. You have history with the show Legally Blonde, playing Margot and understudying Elle in the West End, but what we want to know is, how did it feel playing Elle in front of your home crowd at Her Majesty’s in Aberdeen? I had the most wonderful time! It was so nice to be in my hometown – it was timed perfectly actually because my parents moved to Edinburgh a few weeks after so it was a nice farewell – and playing that role was amazing – I really love that show and I can’t imagine a better female lead role to play! 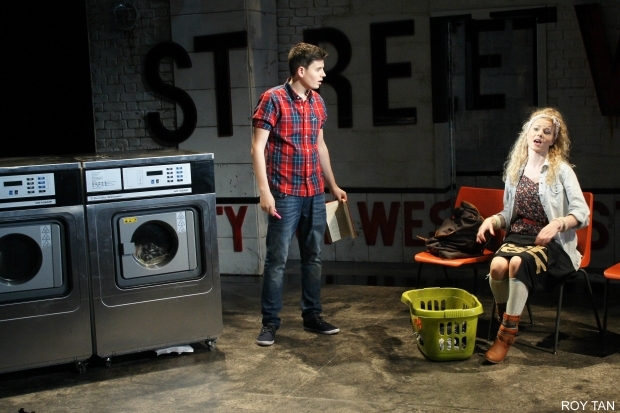 Tell us about working with Stiles and Drewe on Soho Cinders. I Love George and Anthony very much – they are the kindest and most talented writers and have given me so many opportunities over the years. We originally did a charity concert version of Soho Cinders a year before for one night only and it went down a storm. So when they asked me if I’d like to do it again at the Soho Theatre I happily accepted. George and ant work so well together and they were really hands on in rehearsals working with our director Jonathan Butterell. They are so supportive and trusting of their actors, they’re beautiful people. You have played some fantastic roles; are there any more that you have got your eye on? Who knows – I would die happy if I got to be in a star trek movie! What advice would you give to any aspiring actor? Only do it if you can’t imagine doing anything else. If you hadn’t become an actor what do you think you would be doing now? Good question – maybe a casting director or something like that?! 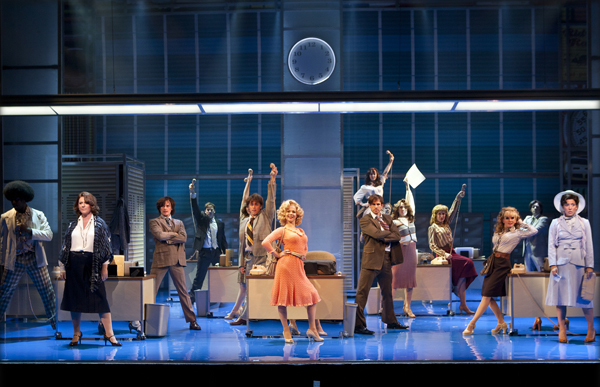 Touring with 9 to 5 until end of August then who knows?! ……. Finally, what 3 words best describe you?